A precision manufacturer focused on the aerospace Industry was using a competitor’s back spotfacing tool for a gear housing, as the Heule BSF had not been introduced at the time his project began. Due to his lack of success with the competitor’s tool (tool breakage as well as insert longevity) the customer was willing to test the HEULE BSF not long after its introduction. 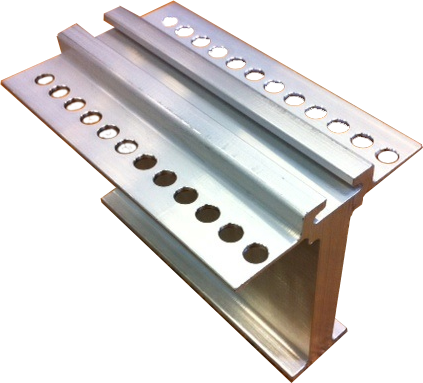 An aerospace manufacturer was machining 30 back spot facings in a component made of Inconel 718 for some years. To do this, the part needed to be set up several times because of the poor accessability of the bores. Countersinks were carried out by a box column drill. 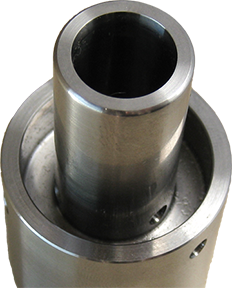 For the other counterbores, he used a counterbore tool with a plug-in head for the back bore machining. The process time amounted to approx. 6 hours for one component. His goal was to simply speed up this process. Due to the very demanding material and the difficulty of accessing the machining spots, the customer was very skeptical with regard to new solutions.